What Day Of The Week Was January 11? 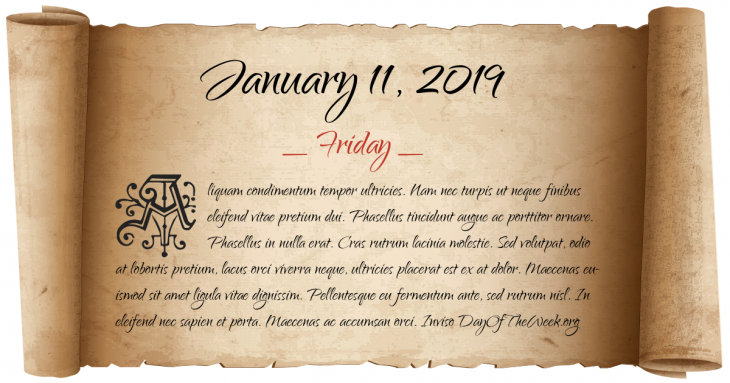 January 11, 2019 was the 11th day of the year 2019 in the Gregorian calendar. There were 354 days remaining until the end of the year. The day of the week was Friday. Mt. Etna erupts in Sicily, Italy. A powerful earthquake destroys parts of Sicily and Malta. Enver Hoxha declares the People’s Republic of Albania with himself as president. Who were born on January 11?